Pakistan has carried out the execution of Mumtaz Qadri, the murderer of Punjab Governor Salman Taseer. Qadri had justified the assassination because of Taseer’s efforts to reform the blasphemy law and his support of Asia Bibi, a Christian woman condemned to death for blasphemy. Qadri was hanged early Monday, February 29 after his appeal to the President for mercy was dismissed. Muslim religious groups and political parties had threatened a backlash if Qadri’s execution were carried out and there were sporadic riots and protests in which cars and buses were set on fire, effigies of the Prime Minister were burned, and a highway had to be shut down for a time. Taseer’s son Shaan, shared his support via a Facebook post, “A principle has been upheld. I commend the judiciary, the President and the police for staying the course and doing their duty. And I thank them for honoring his memory. Long live Pakistan.” Another of the slain governor’s sons, Shahbaz Taseer, was abducted in Lahore in August 2011; his whereabouts are still unclear. When Taseer’s body was flown from Islamabad to Lahore, his hometown, for his funeral, his family struggled to find a cleric to offer prayers, because more than 500 religious scholars issued an Islamic decree proclaiming it unlawful to say funeral prayers for Taseer. The governor was buried amid tight security. By contrast, when Qadri was presented in the court, thousands showered him with rose petals, and more than 2,000 lawyers stood ready to represent him for free. The trial judge, Pervez Ali Shah, who convicted Qadri in October 2011, was sent to Saudi Arabia for fear he would also be assassinated after he pronounced the death penalty. That Supreme Court decision was welcomed by liberal sections of Pakistan society as a bold step, and as evidence of justice taking its due course, but conservative sections saw it as the result of influence of the West over Pakistan; several of them held Qadri to be a living saint. While justice appears to have been served in this case, we are urged to continue our prayers for Pakistan in the wake of this judgment and execution. Father, we thank You that justice has been accomplished in Pakistan even as we grieve the human toll in the wake of the tragic events of 2011. We pray for the safety of the government officials and the families that are at risk. We pray that the execution of Qadri might bring about further discussion leading to increased freedom of religion. We pray that the gospel will continue to go out in power even in the midst of opposition. We especially grieve over this nation where the murder of Taseer and the potential execution of Asia Bibi have been celebrated by many. As the rising sun dissolves the morning mist, we pray for the light of Christ to dispel the bleak mist of spiritual darkness to reveal the truth of the gospel. 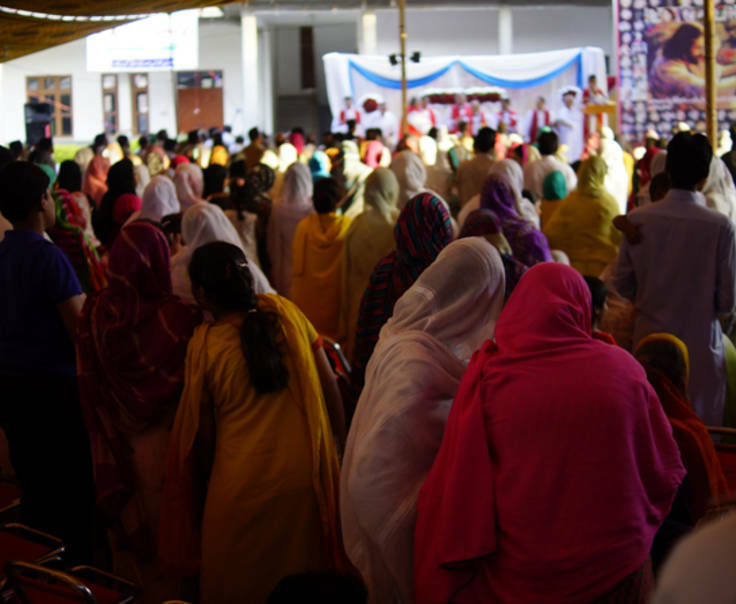 May a mighty throng rise up in Pakistan to praise the glorious Name of Christ, in whose Name we pray, Amen.